Cassie’s lifelong love for fashion drew her to the blogging world, but she was initially worried that she wasn’t stylish, tall, or thin enough to be a blogger. It took some time for her to realize that the qualities that make her different from the traditional “fashionista” actually give her a unique perspective on fashion. Following this theme, Cassie centers her blog around themes of body positivity. She has found that body positive activism is important both in developing her own self-confidence and inspiring it in others. Her interest in equalizing fashion runs from promoting body confidence to advocating for inclusive sizing. As a curvy woman standing at 4’9”, she has had her fair share of challenges finding clothes that fit. Clothes are rarely proportioned for petite, plus-size women, and there are few stylish pieces even among larger petite sizes. But Cassie refuses to be limited by her size—if something doesn’t fit, she finds a way to make it work. She encourages other petite women to learn what cuts and brands work best for their bodies and not be afraid to change the design of a garment. 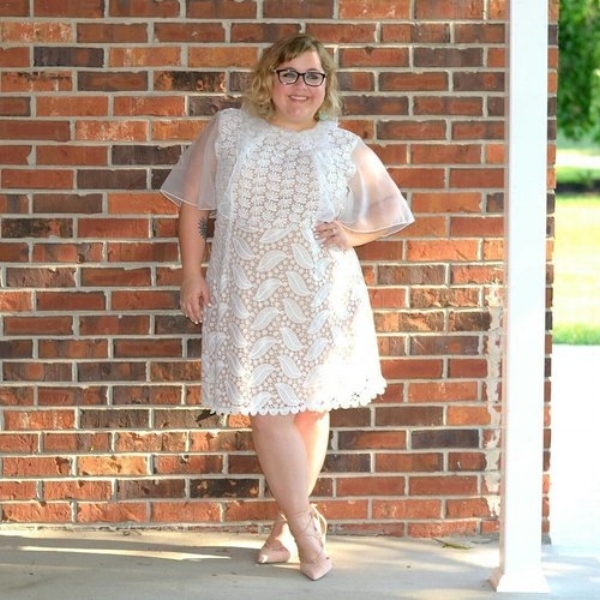 Cassie celebrated her five year blogiversary in July, and she says that her body confidence has grown since she started, allowing her to experiment with styles that she once would have avoided. She believes in personal style as a mode for self expression and hopes that her followers feel empowered to love themselves, embrace their bodies, and to explore their identities through fashion.